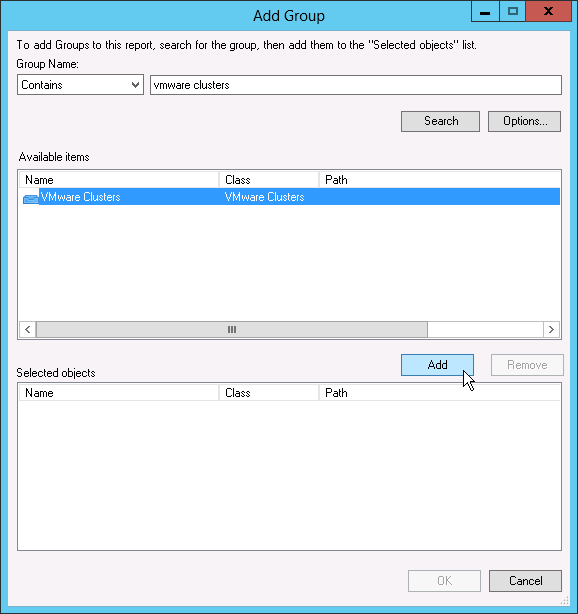 In the Scope section, search for VMware topology objects to include in the report. Click Add Group. In the Group Name search box, type "vmware clusters" and click Search. Select the VMware Clusters group in the list of search results, click Add and click OK.